Brace yourself for the year’s most awaited Black Friday sale with best tech and electronic deals to offer. The first Friday after Thanksgiving is coming with amazing deals this 24th Nov 2017. Various sites and stores are ready to offer you huge discounts and early bird shopping deals but there is a possibility they aren’t the bonanza deals as announced, the prices are not that low that we expect or the gadgets aren’t worth buying. This all makes it difficult for us to sort the best deals and gadgets from several thousand upcoming sales but certainly there are some diamonds in the rough. So, to help you shop cleverly, we’ve brought list of gadgets that you should look for and are promising. 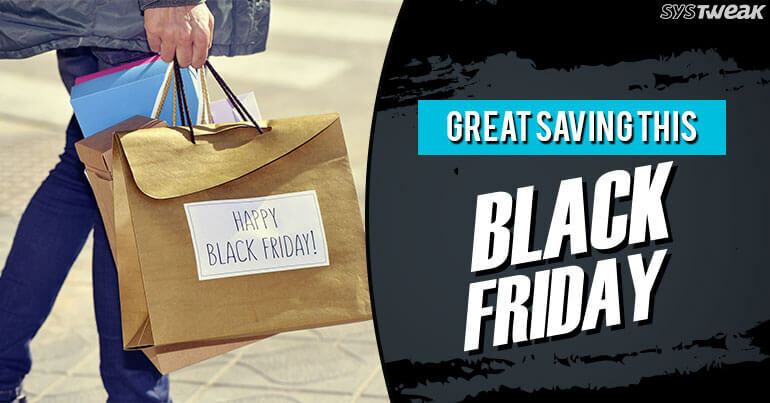 Get your shopping list ready and grab best online deals at earliest by evading all the chaos this Black Friday 2017. Save money and get excellent quality products with the categorized list crafted for you. Big online retailers are already up with early Black Friday sales, will tell you about them and all that’s coming this Friday. DON’T MISS the incredible deals this Black Friday. Amazon is always ahead of its competitors it has started marching towards Black Friday 2017 with never seen deals. To check out the deals click here. Good luck with your shopping. Amazon’s “Countdown to Black Friday” sale is updated daily with new deals you can bookmark the page to check out the deals. Walmart too is in the race it’s few steps away from Amazon. Its Pre-Black Friday sales is offering some killer offers at huge discounts. So, checkout the link before all is gone, there are plenty of items on sale from TV to Xbox and much more. Looking for best PC deals? Why to wait when Newegg is here with Pre-Black Friday Deals. Get all that you can imagine from a fully built laptop and desktop to all kind of accessories. Click here to check all the deals that you can’t imagine having this year. Are you an Apple fan want best deals on Apple products especially on the iPad? If yes, your wait is over Target is offering best discounts greats deals on iPhone, Samsung Galaxy phone, Gaming Console. You can check out its early access Black Friday sale by clicking here. The REDcard holders will be able to access more than 100 Black Friday deals on 22/11. Searching for Samsung deals this Black Friday? Samsung is giving tempting offers to its fans. The sale is already on and coming 23rd new deals will be added so don’t miss out click here to check out the deals. Want to those amazing home assistants to be part of your smart home. Then why to wait this Black Friday they are on sale with huge discounts. This is just a glimpse of what all you can get. The deal page is updated regularly so bookmark the pages to check out for latest deal and grab them at earliest. There’s more in the bucket but the complete package will be revealed on Friday 24th only. NEWSLETTER : Flashlight App Tries To Infect Google Play & Google Promises Fix For Pixel 2 Buzzing?